MacPost claims this picture of the next iPhone that will be called iPhone 4S, not iPhone 5. 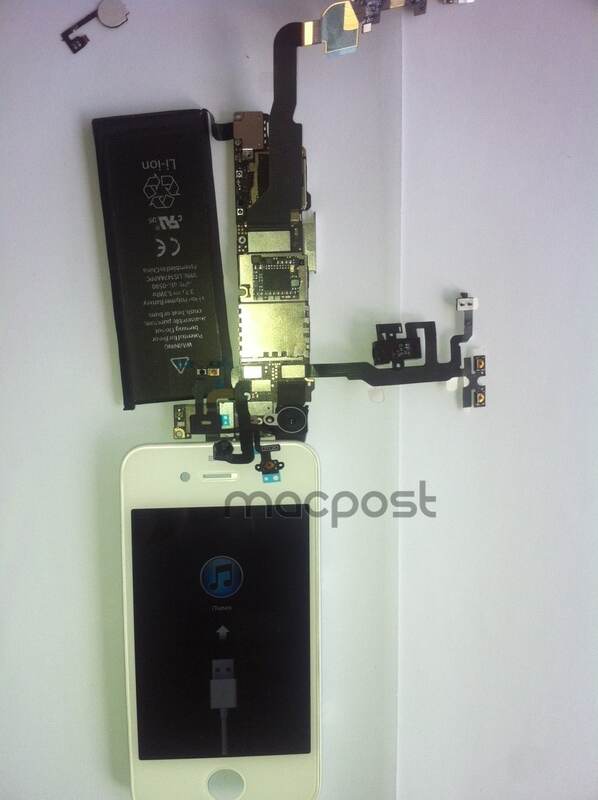 The white iPhone 4S leaked pictures shows the board using an A5 processor. You can also notice the iPhone 4S turned on showing the symbol to be connected to iTunes. Another thing the image clarifies is that the iPhone 4S uses a 3.7 V, 5.3 Whr battery delivering 1430 mAh of charge. Many analyst suggests that the next iPhone won’t be called iPhone 5, instead it will be called iPhone 4S(S stands for speed), just like the iPhone 3G to 3GS upgrade where S stands for speed.